It’s been awhile! 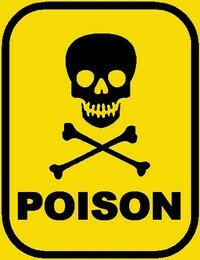 Today in Tox ‘O Clock we’ll cover the Holy Grail of toxicology – organophosphate poisoning. First of all, what the hell is an organophosphate and why should anyone care? And why is it the Holy Grail of toxicology? Happy holidays, everyone! This is your friendly toxicological reminder to not do stupid things like use propane heaters indoors, grill inside, or leave your oven range on for extended hours at a time. Why, might you ask, is this a bad idea?